I decided to create this documentary about security tokenization after learning that many of my preconceived notions about security tokens were just flat wrong. During my journey, I also discovered that several individuals I respected (and who were otherwise well versed on cryptoassets) also had misconceptions about security tokenization, how and where security tokens attempted to add value, why they might be needed, and the mechanisms of how they worked. As my friend, Taylor Pearson pointed out in a really long Tweet storm: understanding how cryptocurrencies work means understanding cryptography, distributed systems, economics, and politics. Security tokens add to this list . . .
My purpose here is not to convince you that security tokens and asset back tokens are valuable or needed, but instead to simply the complex and tell the story of projects makers, issuers, investors, and influencers driving adoption of security tokens. To create this content, I had conversations with leading thinkers and creators in the field. What I found is that, at every step of the way, the tokenization of securities, real estate, art, and other real-world assets is forcing us to reexamine old habits and ways of operating. This documentary started off as a passion project, quickly turned into a huge, time-consuming pain, and is now back to being a passion project as we hit publish. We’d like to take this opportunity to thank our two sponsors, Blocktrade.com and the Nomics API. Currency.com is the world’s first regulated tokenized securities exchange that allows you to use your Bitcoin or Ethereum holdings – and even fiat – to trade the world’s biggest markets through tokenized securities. Choose to trade with up to 100x leverage or buy and sell assets of your choice from over 200 tokenized securities. Crypto traders are able to trade traditional financial assets without putting their holdings under price pressure or exchanging to fiat. Of course, this is all possible with the security, trust, and precision of blockchain technology. It’s simple: trade with crypto, profit in crypto. Go to Currency.com/nomics to get started! 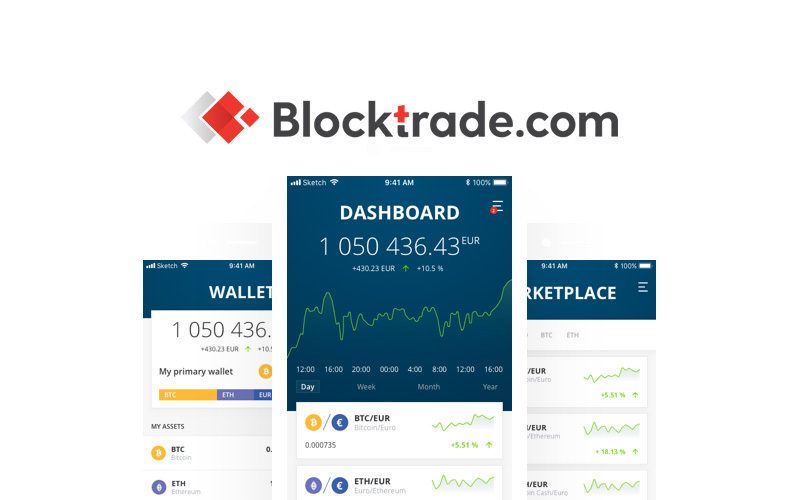 Blocktrade.com will be the first fully licensed security token exchange in Europe, focused on listing crypto assets, security tokens, and other tokenized financial instruments. By being fully MiFID II compliant they will enable crypto trading to institutional traders while unlocking huge amounts of liquidity with their primary market partners. If you’re someone who’s following the security token space, they have quite a few things to announce in the next couple of weeks, including their public beta launch. Be sure to go to Blocktrade.com, hit the red subscribe button at the top, and get on their announcement newsletter. 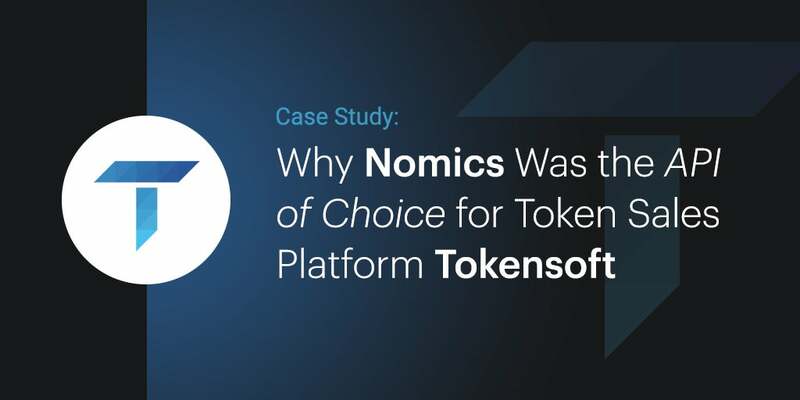 In this case study, we talk to Ron Gierlach, blockchain developer and wallet builder at Tokensoft, to get a ‘dev’s eye view’ on what it’s like to use Nomics’ Crypto Market Data API. TokenSoft is a SaaS token sale platform which enables clients to launch blockchain-based securities and token sales under US Regulation D, Regulation S, and Regulation A+ in addition to other token sale formats. Their platform also supports small businesses, enterprises, and institutions to meet compliance requirements at issuance, distribution, or exchange. Bletchley Indexes is fast becoming the go-to platform for asset managers, investors, and traders to find accurate benchmarks on the financial performance of cryptocurrencies and other digital assets. Their multiple indexes help to narrow the gap between the crypto community and professional investors by providing independent, up-to-date, high-quality market information which minimizes the execution costs of tracking funds. Powered by Nomics’ Cryptocurrency Market Data API, Bletchley Indexes is unique in its straightforward and unbiased methodology. We talk to Mike, Bletchley’s Co-founder, to find out how he is leading the fight against ill-defined global metrics in the crypto space. What was your background before starting the Bletchley Indexes? I work at a trading firm in Chicago and have spent the majority of my career on options market making desks for fixed income products. My co-founder and CTO, Steve, works at an exchange in Chicago as a software engineer. What’s the Bletchley origin story? In early 2017, as more coins became relevant, I found myself continually wishing that I could simply look at an index instead of scrolling through CoinMarketCap.com to figure out how the market was moving. I had also read about the first go around of altcoins from 2013 and the corresponding data analysis around returns of coins other than Bitcoin. There was a lot of conjecture and no robust data to precisely track how simple strategies performed. I wanted to make sure that the industry wouldn’t have that problem again. From my day job, I was extremely familiar with best practices in the traditional financial industry around index construction, methodologies, and rebalancing. I thought there was a valuable tool the community was missing; I had the expertise to provide it, and I wanted to do my part to contribute to the growth of the industry. Subsequently, I reached out to my co-founder, and we began working in March of 2017. What do the Bletchley Indexes do and what problems do they solve? We provide benchmarks for the financial performance of digital assets. Our eight unique indexes with USD and BTC denominated pricing are tools to help decipher the story of market dynamics. Instead of looking at the individual returns of tens or hundreds of assets, differences in one or two indexes are often sufficient to explain what is driving the market. Referring to indexes instead of ill-defined global metrics also provides a more accurate picture of replicable returns. Bletchley provides light standard analysis around our indexes and the market, along with APIs to connect with data providers and investors. We also publish data allowing for easy replication of all of our indexes. When it comes to crypto market data APIs, what problems did you need to solve? Our biggest concern is around reliable pricing, both in terms of API feed stability as well as the quality of the price calculation to prevent unwarranted extreme values. The secondary consideration is the quality of historical data which assists in assessing performance against other market strategies and provides index metrics to our users. What were you using before Nomics? Today’s conversation is with Sam McIngvale who heads up Coinbase Custody. 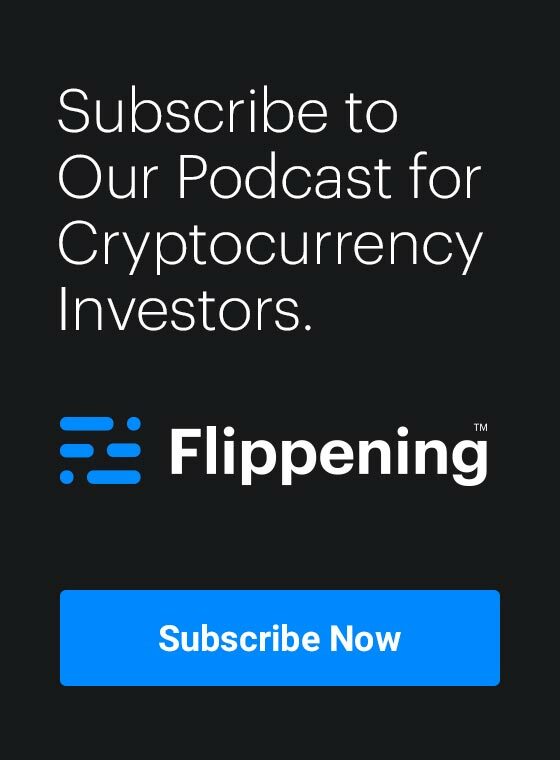 Coinbase Custody’s clients include PolyChain Capital, Multicoin Capital (who we’ve had on this podcast, by the way), Autonomous Partners, and Walden Bridge Capital. Coinbase Custody’s mission is to make digital currency investment accessible to every eligible financial institution and hedge fund in the world. Before Sam was running Coinbase Custody, he was VP of Engineering at Apex Clearing Corporation. As a side note,I’ve been to several crypto conferences for institutional investors and heard several unremarkable conversations about custody. This is not one of them. Sam is on point throughout this entire interview and this conversation results in a fantastic episode that will likely leave you with much to consider. Why custody in the traditional financial world is a solved problem and a commodity, and why things are so much more difficult when it comes to crypto assets. The spectrum of options and dimensions that exist for solving the institutional custody problem with regards to crypto assets. How Coinbase scales key management, key generation ceremonies, and thinks about security. Insurance coverage of stored crypto assets at Coinbase. Why Coinbase is going to great lengths to separate its various institutional offerings. Whereas the first part of this conversation was focused on custody, the second part of this conversation focuses more generally on the suite of institutional products that Coinbase is rolling out, including their prime brokerage offering. In the episode that you’re about to hear, we discuss . . .
We also discuss how coinbase markets, which provides a shared pool of liquidity for all of Coinbase’s products…. is both an internal service provider to the rest of coinbase and a product available to market makers and high-frequency traders. We’d like to take this opportunity to thank our two sponsors, Panda Analytics and the Nomics API. Aurora is a collection of blockchain applications and protocols that form a completely decentralized financial and banking platform. Founded by a group of blockchain enthusiasts who aspire to see digital currency flourish, Aurora aims to provide these decentralized financial solutions to anybody in the world, regardless of location and status. Aurora’s first product—IDEX—is the first real-time decentralized exchange, and currently the #1 dApp in the world by daily users, transactions, and volume. IDEX achieved early success utilizing a hybrid design which carefully balances the speed and user experience of centralization with the security of blockchain. However, that is only the beginning, as IDEX will evolve into a fully-decentralized exchange through AURA staking. This will allow users who hold and stake AURA tokens to run specialized nodes that perform various exchange functions. In return, they will be rewarded with the fees collected by IDEX as well as all future Aurora products. Learn more by visiting AuroraDAO.com. If investing is not your full-time job, but you still want to get into crypto and blockchain, what cryptocurrencies should you consider when making an investment decision? One popular solution is a portfolio of crypto assets selected and rebalanced on a regular basis. Panda Analytics is a crypto index research and management company that has software tools which allow you to construct a passive index tailored to your risk level and help you execute the strategy, automating the tedious rebalancing work. Also, Panda created the world’s first Proof-of-Work index fund, a low-cost, complexity-free investment vehicle allowing you to diversify into crypto. If you want to learn more about their index fund and tools, please check the website at PandaAnalytics.com. The Nomics API offers squeaky clean and normalized primary source trade data offered through fast and modern endpoints. Instead of having to integrate with several exchange APIs of varying quality, you can get everything through one screaming fast fire hose. If you found that you or your developer have to spend too much time cleaning up and maintaining datasets, instead of identifying opportunities, or if you’re tired of interpolated data and want raw primary source trades delivered simply and consistently with top-notch support in SLAs, then check us out here.